Hi everyone…I have to tell you that I am really excited about today’s Free Printable GiveAway! It took a long time to put it together (thanks to my son Peter)…but I think you will find that it was worth it. We have a complete collection of all 50 States…Plus the US…DC and Puerto Rico and on top of that…we are sharing the collection of Countries with my friend Gina over at The Shabby Creek Cottage. If you don’t find your country…just come over to The Cottage Market and let me know in a comment and we will make it for you! These are 8X10 prints and they look fabulous. With a faux gold metallic base and a beautiful bouquet of pretty flower…these prints are sure to look amazing in any home decor setting. They make great gifts and of course you will want one of your own to show state pride. Sure hope you enjoy these Free Printable State Art Creations!!! Click the State of your choice to Download the Printable! I have to share with you…I use Staples or a Local Office Supply Store for my prints…they Cost $1…they are printed on high quality card stock and the prints are amazing! Just thought I would share that with you! Now for some Free Country Printables…hop on over to The Shabby Creek Cottage!!! « The Most Delicious Apple Recipes Ever! Wow thank you so much Peter & Andrea, these are beautiful. Peter, you are such a talented artist! I was unable to print out Arkansas as it came up with an “Error 404” every time I tried! Hi there Carol : ) So sorry about that…Arkansas is all fixed now : ) Take care…Have a fabulous day …hugs… ENJOY! I Love these, they are so adorable, would you be able to make one for Brazil please. Can you make a Philippines one? or do you have one already available? This looks great! Hi there Diane! How are you : ) So happy you enjoyed the printables and we will get on the Scotland Print and it will be up within the next 2 days : ) The way we did our country choices is we took the top 50 states of our readership because making them all was really a huge amount as you can imagine…we are totally thrilled to do Scotland for you : ) a wonderful country indeed!!! Hugs and have a wonderful day! Thank you so very, very much! Wow was that fast! I will certainly enjoy it! It’s just beautiful. Hugs! You are so generous, thank you! These are lovely. I’ve got one for each state in which I’ve lived & have those for the states in which my children have lived. They are truly a unique & lovely representation of the states & countries! Thank you! So happy you enjoyed them! That is such a wonderful idea printing out one for each state your children have lived! Thank you for sharing that with us. We wish you and yours a wonderful day and sending hugs! Thank you so, so much for fixing the Ireland print! It’s beautiful and I cannot wait to display it in my home! Beautiful! I’ve tried to print out Delaware….keep getting error message. Thanks for all you do! Delaware is updated : ) ENJOY! Any chance you make a print of the Baltic country of Latvia? Thank you!! Prints are beautiful! I’ve actually just added your site to my round-up of free printables as it’s such a great resource. These are beautiful! And so generous to share the printables! Would it be possible to make a print of Canada? Hi there Jill…Oh my…I didn’t realize that our friends to the North were not there! We took the top 50 countries that tuned into the Cottage Market and made those first…that is how we determined which ones to make…I am so sorry! Drop by the comments on this post in about 2-3 days and I will have your link to Beautiful Canada!!! : ) You take care now and have an amazing weekend! Hugs! Guess what Jill…we did do Canada…it was on my friends site The Shabby Creek Cottage…I have the countries on her site : ) That way they get more exposure over two blogs…I didn’t think we forgot you fabulous country! Here is the link for you! Hope you enjoy it! Hugs! These are awesome! I’ve commented on the other site too, but noticed it said to leave a comment here. First, I love these and that LOVE they are free! We had an amazing trip to Iceland – I would love if you could make one of those! In fact, I’ve been looking for one for a while without luck. Hi there Sarah! How are you : ) So happy you enjoyed our collection. Sounds like you had a fabulous and wonderful trip! Give us a few days and then just come back here…I will leave you a link to Iceland! : ) Hope you enjoy it…sending hugs and wishes for a picture perfect day! Hi there Sarah! How are you : ) Here you go: http://www.thecottagemarket.com/CountryPrintables/TCM-GoldFoil-Countries-Iceland.png Sure hope you enjoy it! Take care and here’s wishing you the very best of everything! Hugs!!! Hi there Amber! How are you : ) Here are your printables that you asked for…sure hope you enjoy them! Remember…they do an amazing printing job for $1 at the stationary store or Staples or Office Depot : ) Take care and have an amazing evening! ENJOY! omg thank you so much!!! 🙂 these are absolutely adorable!!! Well you are welcome so much Amber! Hope you enjoy! : ) HUGS and wishes for a wonderful weekend! Can you explain how you have them printed? I downloaded my state, but it seems small. When I enlarge it it becomes 3 sheets of paper wide. When you export to staples, what options to you choose for printing. Thanks in advance. Hi there Regina! So glad you enjoyed the prints! : ) The name of the font we used is Adelicia…we had to purchase it and this is where we found it: https://creativemarket.com/Seniors/291742-Adelicia-Script-%2850-Off%29 Enjoy! : ) Hugs and have a wonderful weekend a FABULOUS WONDERFUL WEDDING!!!! Hi Nicole…how are you! I just wanted you to know that you will have your links for your new prints…Tuesday…the latest Wednesday! So sorry for the delay but they will be with you soon! Hugs and have a wonderful weekend! I would love a Nicaragua one. We’re from CA, but have been in Nicaragua now for a couple of years and want to put both up. Hi there…how are you : ) So nice to hear from you! Of course we will make one for you! Please check back here on Tuesday…the latest Wednesday for the link: ) You take care now and have an amazing weekend!!! ENJOY! Hugs! Just checking back and wanting to see if I am missing where the link is? Thank you so much. Thanks so much for El Salvador and Belize! I’m so excited!!! My husband and I travel to Rwanda for missions at least once a year and I’d love to have that one! I was wondering if you have the Italy image? I see it as a picture but can’t find the printable version. Could you make an Argentina printable? I would LOVE that!! Hi I was just wondering if you could make Egypt for me please?? Hi there Sloan! How are you : ) Here you go: Egypt! http://www.thecottagemarket.com/CountryPrintables/TCM-GoldFoil-Countries-Egypt.png Hope you enjoy! Take care now and have an amazing day! Hugs! Could you make one of these for Eritrea? It’s a country in Africa. I left this comment before but I don’t see it on here. I am Costa Rican and the map will be in my home in the US, to remind me of home. Hi there Melissa! I am so so happy you are so happy with the Costa Rican Map : ) Sending hugs and wishes for a wonderful day! Hi, I was wondering if you are still making these, would be able to make a map of Bosna i Hercegovina? First off, these are AMAZING! I’ve just moved back to the states after living in Ukraine for a couple of years. I’m so in love with Ukraine, and would LOVE one of these babies on my wall of Ukraine if you are still able to make up new ones. Thank you! Hi there Bryn! How are you : ) Well you can’t be without a Ukraine now can you : ) So here you go: http://www.thecottagemarket.com/CountryPrintables/TCM-GoldFoil-Countries-Ukraine.png Enjoy it!!! Sending wishes for a wonderful day …hugs! I am assuming that you do not offer these without the flower the on the top? I want to do a grouping of six and think the flowers might be too much? Does the state image continue behind the flower image? If so, I might be able to get my hubby to pull them into photoshop and remove them? I love the font and gold texture state! Hi there Courtney! How are you : ) I have emailed your states…but just in case…here are the links : ) ENJOY! Have a wonderful day!!! Hi there! I know we were asked for Finland and for Seychelles…but I can not find the comment to respond directly by email…so if you were looking for those Countries…here are your links and we sure hope you enjoy! : ) HUGS! I was wondering if you could make for me Uganda? And is there any chance you could make it in the next week so I can print in out before I go back there on the 29th? Thank you so much! I just recently stumbled across your blog and so far, I’m loving it. Could you please make me an Australia print by any chance? Thank you so much !! Hi there Felicia! How are you : ) Hope all is well. We will try our hardest to have Taiwan completed by tomorrow : ) Check back around noon and it should be waiting for you : ) You take care now and have an amazing Holiday Season! : ) Hugs! Hi there! I absolutely love these! 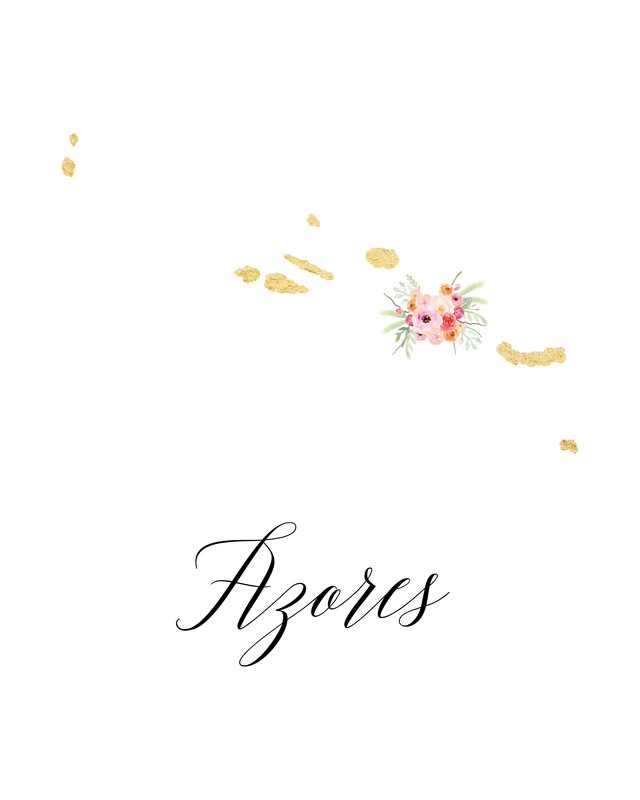 I am wondering if you would be able to create a printable of the Azores islands as I’m having quite a hard time finding one. Please let me know! Thank you and happy new year. I really would like the link for Netherlands too! Would you please send me a copy too? Thank you! Hi!! Could you please send me the link for Chile and Guatemala please! These are beautiful! Thank you! Hi there Jennifer! Just made you Chile and Guatemala! : ) ENJOY! Here’s wishing you and yours a very HAPPY NEW YEAR! HUGS!!! Hi Andrea! I absolutely LOVE your work! Would you be able to send me a link for a China version? I just moved and would love to include this and the Phillipines one on a gallery wall in my new home! HI there Jenny : ) Thank you so much for your kind words! I have all ready sent your China to your email : ) You take care now and have an amazing day! Hugs! I am missing a couple and was wondering if you would mind doing a couple extra? No worries if you can’t do these but just thought I would ask. Here’s wishing you a wonderful evening! HI I love love the maps!! I am doing a project of where we have lived and I was wondering if you have one done of Japan and Korea It is the last ones I need!! I would love an Alberta one as well as it is my home province and I am doing a where we have lived wall in my house 🙂 thank you again! Side note I found the Japan one. Can you do one for Sicily??? Is it possible to do one for The Virgin Islands, specifically St. Croix? Hi there Tericia, so very happy that you enjoyed these so much and thank you for the kind words! We will create your requests and they will be right here for you on Friday Afternoon. We kind of got hit by the flu and need a little extra time : ) Thank you once again for your sweet words…wishing you and yours the best day ever…Hugs! These are absolutely beautiful!!! Would you happen to have a link for GUAM and the Philippines? I would love to display these in our home…Thank you so much! Hello! I love these! We have lived all over but by any chance, do you have a printable for the United Kingdom? We lived there for a long time and it would be perfect to add to the collection of states! Thank you!! Hi there Kathy! How are you : ) So glad you enjoyed them and here you go…here is the UK… http://www.thecottagemarket.com/CountryPrintables/TCM-GoldFoil-Countries-UnitedKingdom.png sure hope you enjoy! Here’s wishing you and yours the most wonderful day ever! Hugs and Cheers! I love these colors! You did a great job. Would it be possible to get California and Washington and the US without the flowers? I am just not a flowery person but I love these! Hi there Bethany! How are you : ) So glad you enjoyed these and yes…we can do that for you…we will have them done for you by Friday…we kind of got hit by the flu and need a little time : ) So check back right here on Friday afternoon and they should be waiting for you : ) Wishing you and yours a wonderful evening! Hugs! Do you by chance have Guam?? Yay! Super excited that you’re working on Guam. That’s what I came to ask for too. Thank you!!! Hi there Brenda! How are you : ) Of course we can do Bahrain…check back here in your comment on Saturday Afternoon and we will have it for you. We have been stricken by the flue so we are running a little bit behind…but we will get it to you then : ) Thank you so much for dropping by…here’s wishing you and yours a wonderful day! Sending Hugs! Thanks so much! Can’t wait to have it as that is home to me and where I met my husband when he got stationed there. My babies have some kind of bug too so I understand. Hope you feel better! Hi, i absolutely love these! I’ll be displaying them in our house for all the places my husband has been stationed! Could you by chance make Crete, Greece? (its a small island) thank you so much I really appreciate these! If you could email it to me that would be great!! Thanks again! 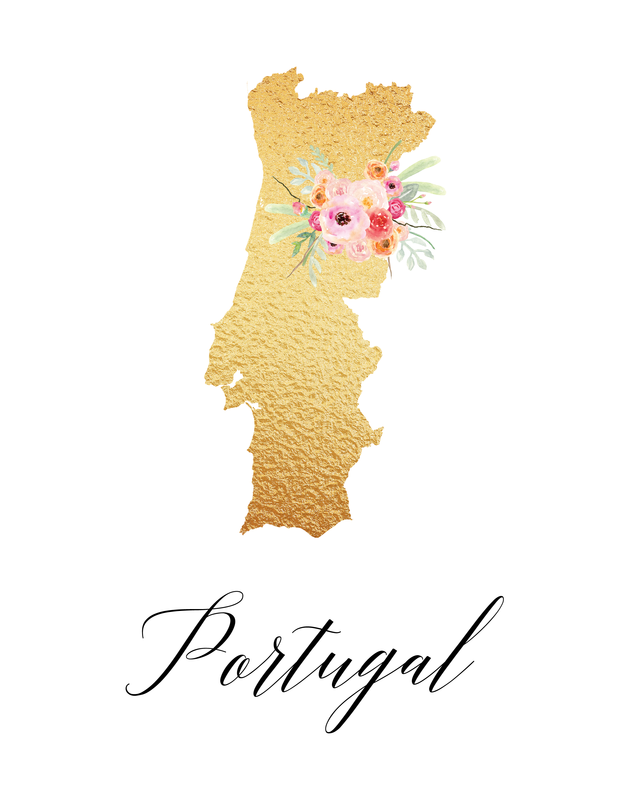 Hi there Cayla, how are you : ) We have Greece : ) http://www.thecottagemarket.com/CountryPrintables/TCM-GoldFoil-Countries-Greece.png and I will see if it works with Crete since it is so tiny : ) Check back on Saturday! : ) and sending you and your family a HUGE THANK YOU for your Service!!!! Wishes for a wonderful day…sending HUGS! Hi! Would it be at all possible to make a Germany print?? Thank you! Hello, do you happen to have Norway? these are beautiful!!! Hi there Kristine! How are you : ) We do have Norway and here is your link : ) http://www.thecottagemarket.com/CountryPrintables/TCM-GoldFoil-Countries-Norway.png So glad you are enjoying them! You take care now and have an amazing day…Sending Hugs! A lot of military wives love these, especially to have in their houses! I was wondering if you have Japan? I will be moving there soon, and I would like to add it to my collection! This is just a gift! Thank you so much for doing this. This is a blessing to all military wives. I was wondering if you had a Japan one? Thank you Erin for your kindness! So happy that you enjoyed this collection and remember…if there is a country you need…we will always make it for you : ) We have Japan…here is your link: http://www.thecottagemarket.com/CountryPrintables/TCM-GoldFoil-Countries-Japan.png Once again…if there are any others you need…just let us know and thank you for all that you do for your country and a big thank you to your hubby : ) Sending hugs and wishes for a wonderful day! Hi! I was wondering if you had an Iraq printable available. I met my husband there while we were deployed and would love to add it to our “Home is where the Army sends us” wall. Thank you! Hi there Angela! How are you : ) Of course we will do Iraq : ) Check back right here in the comments on Saturday…like I said…we have been stricken with the flu and running a little behind…but we will have it for you by then! That is so sweet to have the place you met your hubby : ) Please thank him from all of us here for his service : ) Sending hugs and wishes for a wonderful day!!! Oh my gosh I love these so much! I grabbed Texas, Minnesota, Georgia because they’re the states me and my husband are from and where we lived together and I was really wanting Germany now that we are living there. So glad I read comments, because I found it! You are amazing and these printables are amazing as well. Thank you for all you do! Oh my these are beautiful! Any chance you can do a Guam and a Palau version? Thanks so much! Not sure if my comment went through? Thanks again! Hi Andrea! Would you be able to do South Africa? Thank you!! 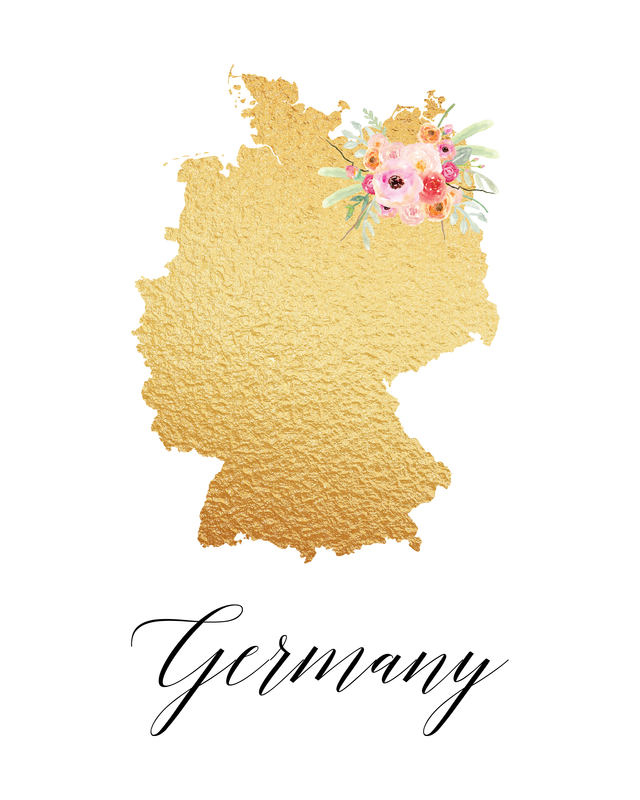 Hi there Courtney…we have South Africa all ready…here you go: http://www.thecottagemarket.com/CountryPrintables/TCM-GoldFoil-Countries-Germany.png Here’s wishing you and yours a wonderful day and all the best! HUGS!!! Enjoy! Hi Andrea! Wow, you have been so amazingly patient and accomodating! Thank you for your beautiful pictures and allowing us to use them. Would it be possible to get one of Kenya, Lesotho, and South Africa? Thank you so much!!! Can you do Okinawa Japan? Please. These are beautiful!!! Thank you for doing this. You are so talented! These are going to be one of my favorite things in my home. Would you be able to do Haiti and Nicaragua? Due to medical mission trips to both locations these places are near and dear to my heart. You take care now and have an amazing day! These are awesome! Could you please make a guam one? Thanks! Nevermind- I found the guam one in the comments. Thank you again for your beautiful work! These are so pretty! I will be printing out the states we have been stationed at (military here!”). Also noticed you did some other countries for other commenters. Did you by chance do a Japan one? We were stationed there & would love to print that one out at well to hang with our collection. Again thank you for this FREE/AMAZING printable!! HI I love love the maps!! I am doing a project of where we have lived and I was wondering if you have one done of Japan and Korea It is the last ones I need!! Hi there! I was looking for the US Virgin Islands, specifically St Thomas, do you guys have that as a printable yet? I was married there and would LOVE LOVE LOVE IT!!! These are just amazing!!! Your work is absolutely BEAUTIFUL!! I’m so thankful to have found these! Could you please do one for the Country of St. Lucia? I was wondering if you could create one for St. Lucia? It’s a very special place that we hold near to our hearts and I would love to have it. Zach…just in case…here it is : ) ENJOY!!!! 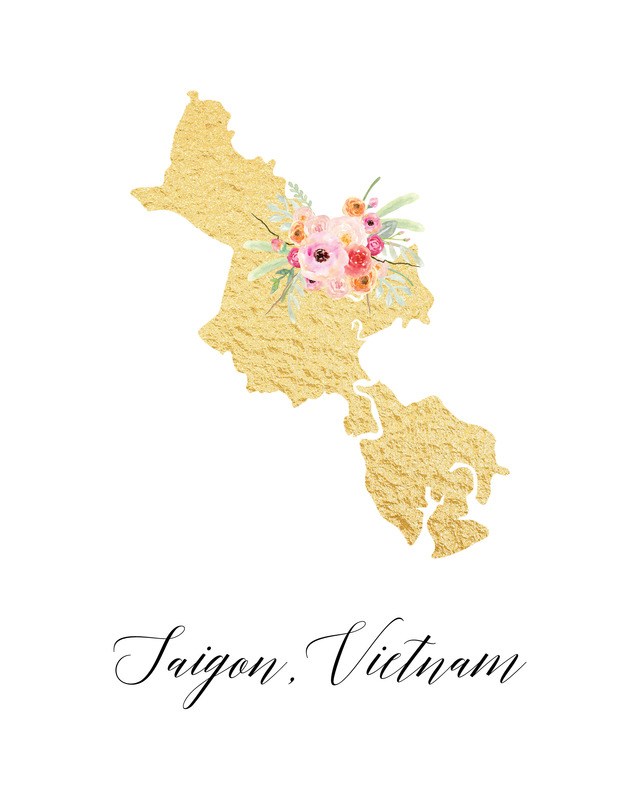 http://www.thecottagemarket.com/CountryPrintables/TCM-GoldFoil-Countries-SaintLucia.png Hugs! Have you made Dominican Republic, Aruba, Bahamas? Thanks I got it – You are awesome! Thank you so much for this wonderful freebie. I was wondering if I could get a Nicaragua and Ukraine download? I’ve done mission work in both of their countries and I would like to hang pictures beside the country outline! Take care now and ENJOY! Tons of hugs! Beautiful idea! Would you please include one for Vietnam? I can’t wait to put this in my home. Thank you for the wonderful freebie! Theses are wonderful! Would you please make one for Nigeria. I can’t wait to hang that in my home. Thank you so much. I’m looking forward to seeing it. Hi – I am thinking of using these as table names for our forthcoming wedding – they are so pretty! Can I please ask what is the name of the font you have used as I was hoping I could make my own place card names for guests using the matching font? I love these state and country printables! I am very interested in the country of Tajikistan. Anyway I could get that one? Hello! These are beautiful and are exactly what I need for my gallery wall. Can you make Puerto Rico? How absolutely stunning your work is! Thank you for making this available to all of us! Living in Texas, I have to print the Texas one! THANK YOU. Is there any way that you could make a Bosnia one? I know it is only a little Eastern European country, but it would mean the world to me 🙂 Again, amazing work! OH I feel like such a fool, I see that someone already requested one, and it is up! Thank you. Could you make another Eastern European one, for Croatia? 🙂 thank you. Hi, I luv your website. Everything is so fantastic! Could you make a Guatemala & El Salvador for the country print outs? Thank you. Of course we can make them for you! Just check back in about 3 days and they will be waiting for you!!! Sending hugs and wishes for a wonderful evening! Hey! Could you by chance make one of China and Taiwan? Thanks so much! Hi there! How are you : ) OF course we can make them… check back in about 3 days and we will have them for you! Sending hugs and wishes for a wonderful evening! Hi there Whitney! Here you my friend…ENJOY!!! Hugs! B E A U T I F U L! I’ve been looking for prints for my new apartment, and these are just so great! I’m printing one out of myself, and several others to gift to friends! Could you make a Jamaica and Bolivia one? Thank you so much! Beautiful work! Hi! Could you make an Okinawa? I saw the Japan but we’ve never actually been to mainland and would love one that is just Oki. I love these! They are so beautiful and meaningful as well. My husband and I live overseas and I was able to print off and frame all the states that hold a special place in our hearts 🙂 I was wondering if you would be able to make one of Ecuador. Thank you so much for sharing these and God bless! I absolutely love these! Maybe I’m dumb…but can we get the gold foil look if we just take it to staples? Do they print them that way? Or will it just be ink that looks like that cool texture? Hope my question makes sense! Thanks! I was referred to your site by Adoramapix. I love your prints. I was wondering if you have a printable of St. Thomas V.I. My daughter just had a surprise wedding there. Hi, I was wondering if there is any chance i get the country Bosnia and Herzegovina, I noticed it wasn’t on here. It would mean a lot. Thank you and have a great day! Hi! Your prints are beautiful! Any chance you could make one for Guam? My daughter was born there. Thanks so much for your generosity! Wow, that was fast! Thanks so much! Hi! I love your prints! Would you be able to make one for Australia? We used to live there and have been wanting to make a gallery wall of our previous homes! Thank you so much! I stumbled across your page the other day and fell in love with the country printables. My roommates and I have done a lot of traveling and want to display the countries we have been to. However, you did not have some of the countries on your website and I was wondering if you had a print of China, Ukraine, Guatemala, and Haiti? These prints are gorgeous and we would love to display them in our home! Do you have one of Guam? Thank you for these. They are amazing and beautiful! My son will be moving to Taiwan Taipei shortly, Do you have a print for that? Or an Etsy store where I could order one without flower, but a heart near Taipei (To show my heart is there.) Thank you for all you create and share with us. I am so glad you like our prints!!! Here are two links one just says Taiwan, while the other says Taipei, Taiwan. They both have hearts near the location of Taipei, good luck to your son on all of his endeavors! I hope that you enjoy these prints! Have a wonderful night! Take Care … Andrea! Thank you so much for your kindness. I appreciate you sharing your talent with me. Wow, these are so beautiful! If you could make a version of Egypt that would be amazing!! Thank you!! Thank you so much for the kind words! Here is a link to Egypt .. http://www.thecottagemarket.com/CountryPrintables/TCM-GoldFoil-Countries-Egypt.png … I hope you enjoy … Take Care … Andrea! Hi! I was wondering if you had one of Morocco? Could you share a link if you do? These are incredible! Would you be able to do St. Kitts and Nevis?? I absolutely love your work, and I would like to request a map of Honduras, if possible. Thank you so much! Hi Andrea, These are beautiful I would love one for my daughter. Do you have one for Ethiopia? Hi there Megan, how are you! So glad you enjoyed our free printables and we will have an Ethiopia for your daughter in the next few days!!! Check back : ) Hugs…Enjoy the day! Thank you so much for these. I looked on the linked site hoping to see the country of Ethiopia & didn’t see it there. I read the thread to here to see if someone had requested it & was delighted to see this. We’re printing off all the places we’ve lived & want to thank you for your generosity & kindness in making these available for free. Military families love them, which is how I heard about them in the first place. You’ve just gone above and beyond in sharing these beautiful printable for free and the way you offer to make new ones. Bless you! These are incredible, thank you so SO much for sharing! You are so welcome : ) ENJOY!!!! Hugs and have a wonderful day! thank you for sharing your love for beautiful images, what a gift! no luck, would it be possible to request those? 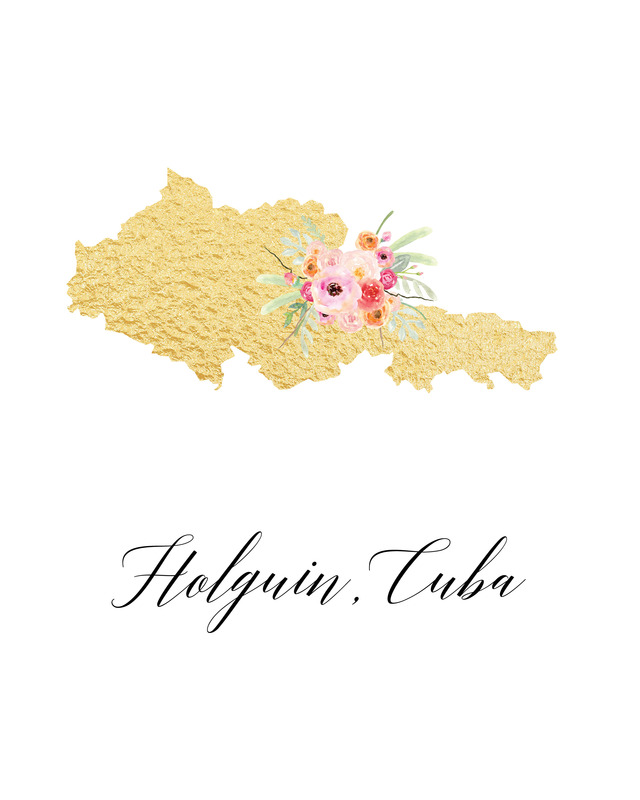 My husband is Colombian so could I have that one without the flowers? Hi there Elaine! How are you : ) So glad you enjoyed these and of course we will make those for you. They will be ready in just a few days…so check back soon! : ) Sending hugs and wishes for a fabulous day! Hello! Beautiful prints! May I request India as well as the continent of Africa? Thanks! Andrea, Do you have an image of Iceland? If so, I would love to have it. Thank you. I would love Iran if you have time to make one! These are all absolutely lovely! I’m so sorry Andrea! I was looking at the comment and typed the wrong name! Oh my goodness these are so so BEAUTIFUL! I would be so thrilled if there was any chance you could make the country of Sri Lanka. Happy holidays! Hi there Nadeesha! How are you : ) We would be honored to make your country for you : ) Come back in about 2 days and the link will be waiting for you : ) Sending hugs and wishes for a very HAPPY NEW YEAR!!! Thank you, thank you so much! I’m going to print it out and frame it for our home! Happy New Year! I’d love to make a gallery wall with the places I’ve been there just a few countries that aren’t available to print yet like…The Caribbean, Taiwan, Laos, Guatemala. There just random small places that I’ve visited and loved so if a print can be made for these let me know. These are so beautiful! I am planning to print all the states where I have lived and frame for my living room. My family is military, so there will be quite a few. 😉 Would you be willing to make Guam? It is the one place I lived out of the continental U.S. Thank you for the kind words! That sounds like an amazing idea, I am so glad that my prints can be a part of it! 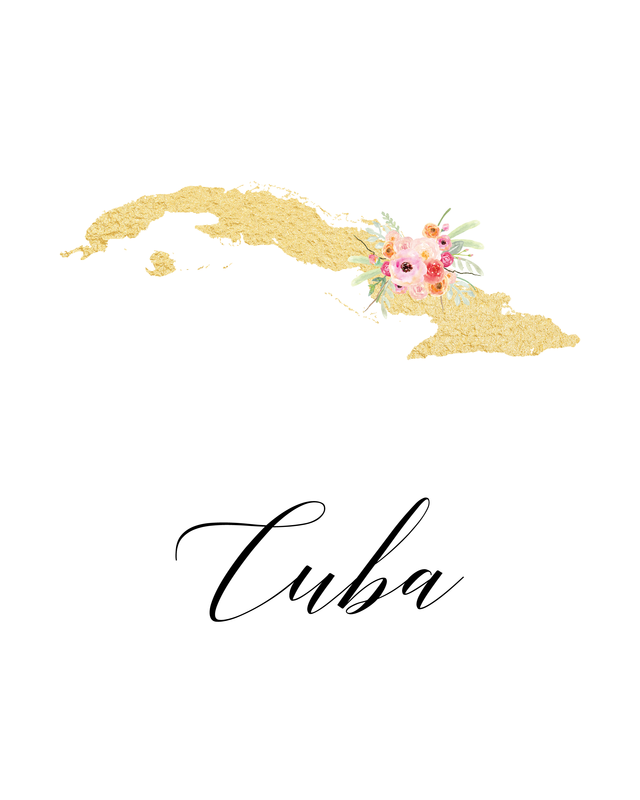 Here is a link for the Guam print … http://www.thecottagemarket.com/CountryPrintables/TCM-GoldFoil-Countries-Guam.png … I hope you enjoy! Take Care … Andrea! Hi I was wondering if you have Aruba, Bermuda and Bahamas? Thank you for all the beautiful printables. Thank you so much. This is truly beautiful art.Thanks for sharing it. Hi there Joanna! How are you : ) Here are the other two prints you asked for : ) Sending hugs and wishes for a fabulous day! I have one more request. Im not sure if you have Gibraltar. if its possible i would love to add this to my wall. Thank you so much Andrea. This completes my travel wall for now. Have a great day! Hi, I’m going to echo everyone else who said these are beautiful. I was wondering if you had any versions of the entire continents? Thanks!! Hi, sorry it took so long! I hope you enjoy! Hello, I Love those printables sooooo much!!! 🙂 Is there any chance that you can make small Estonia also please? 🙂 Best wishes! Is there any way you can make Panama? I don’t seem to find it. Do you think if we reduced to a 5 x 7 it would still look great? I found 5 x 7 frames on sale for the ones we want to print out and didn’t realize til now that they are 8 x 10 printables, eek! Hi, would you be willing to make one for Curacao? These are so beautiful! Hi Andrea! I stumbled across this on Pinterest when I was looking up decor ideas! This is such a BRILLIANT idea and so beautiful!!! As a military family, it’s so nice to see where we’ve been in our travels. Thank you!!! Do you have Jamaica and I just missed it? We had our honeymoon there, and it means so much to us. Thank you and have a Great day! LOVE these. Would you be willing to make one for me? I’m wanting Saskatchewan, Canada but would be thrilled if you could make one of just Canada. I’d like to give it as a gift. Thank you for your time in advance. Hi there Elena …how are you : ) I don’t know what is happening with that page…mine are coming up : ) YEAH!!! To make it real easy…I have included the links here for you! Hope you enjoy! Take care and have a fabulous day…HUGS!!! thank you so much! have a wonderful evening !! 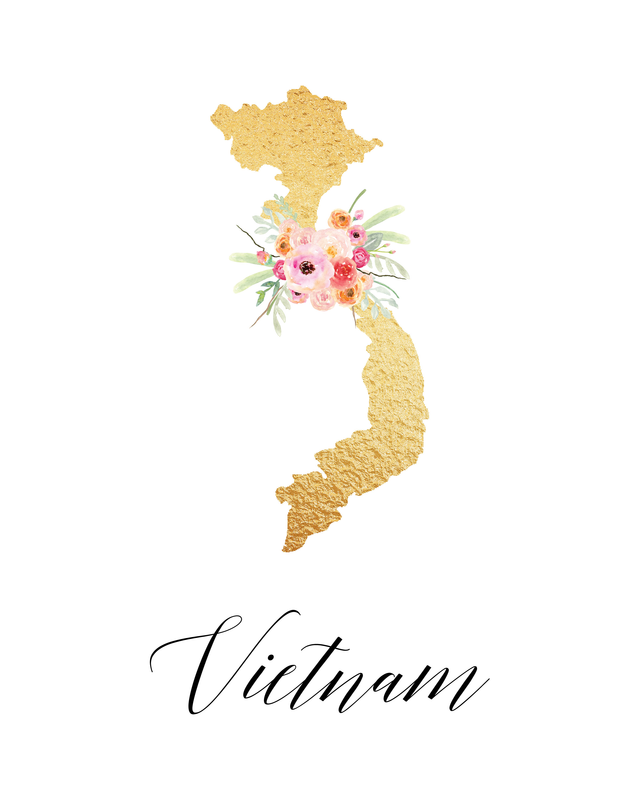 Hello, I was wondering if you still made these free printable State/Country wall art? 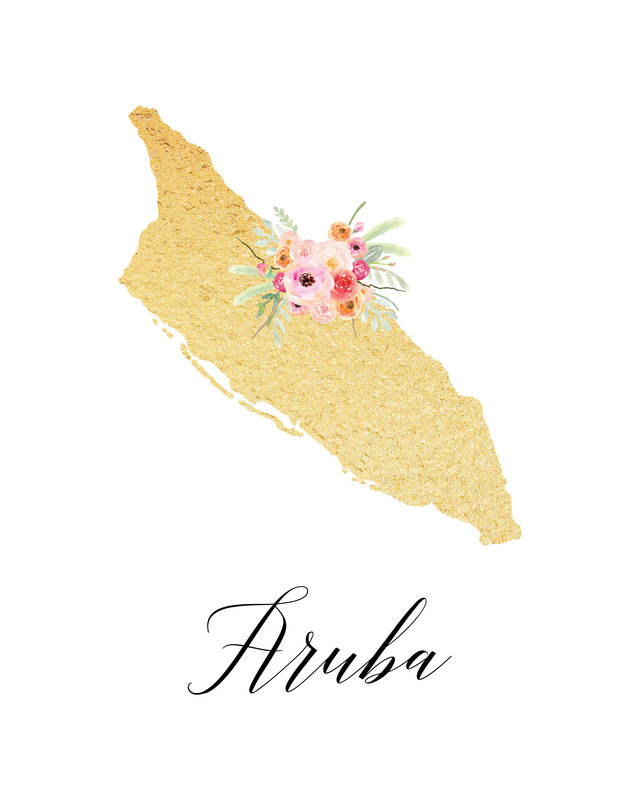 If so, could you please make one of Aruba for me? These are beautiful and will look great with my wanderlust theme for my house. Thank you so much for creating these beautiful art pieces. I was able to look through the comments and find all the Countries we have lived in or visited but I am still missing one. Would you be able to create one for Burkina Faso. Not sure if its possible but one of the capital would be great too. Ouagadougou. Thank you again and I will be sharing your page to all my fellow travelers. Hello Shana! How are you! So happy you enjoyed the newest creations…we will make your new one and get it to you by tomorrow : ) Sending hugs and wishes for a wonderful day! I would love a Scotland print, the other site said to make a comment here about it. I love these! Thanks!! Thank you so much for the prints. You are soooooo talented!!! May I request one for Vietnam? Thankssss soooo muchhhhhh!!! I Heart you too Aline!!! Sending hugs and wishes for a picture perfect day! Hi there Aline! How are you! Here are your links… just click “SAVE AS” and print : ) Sure hope you enjoy! Sending hugs and wishes for a wonderful day! Thanks so much. I love these prints, they are so beautiful.